The cryosphere is the term used to collectively describe the portions of the earth's surface where water is in its solid form. The University of Illinois has a fantastic resource available for viewing the polar sea ice called Cryosphere Today. 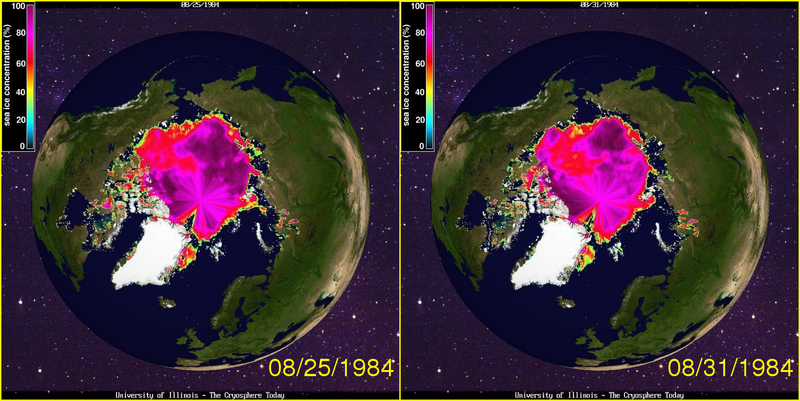 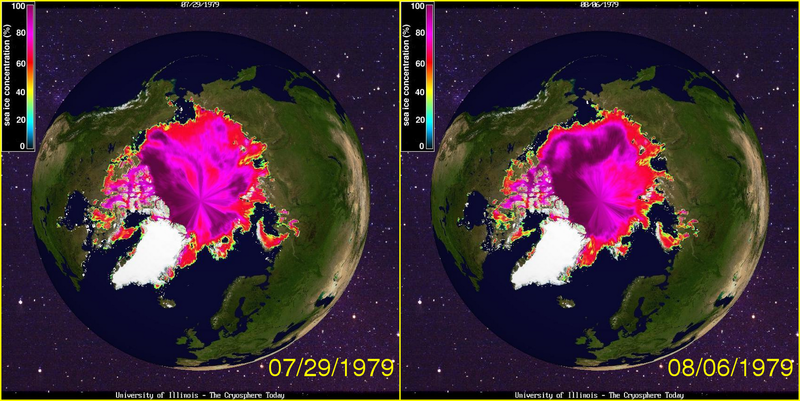 From here you can watch animations of the ever changing sea ice from a database of images collected as far back as 1979. 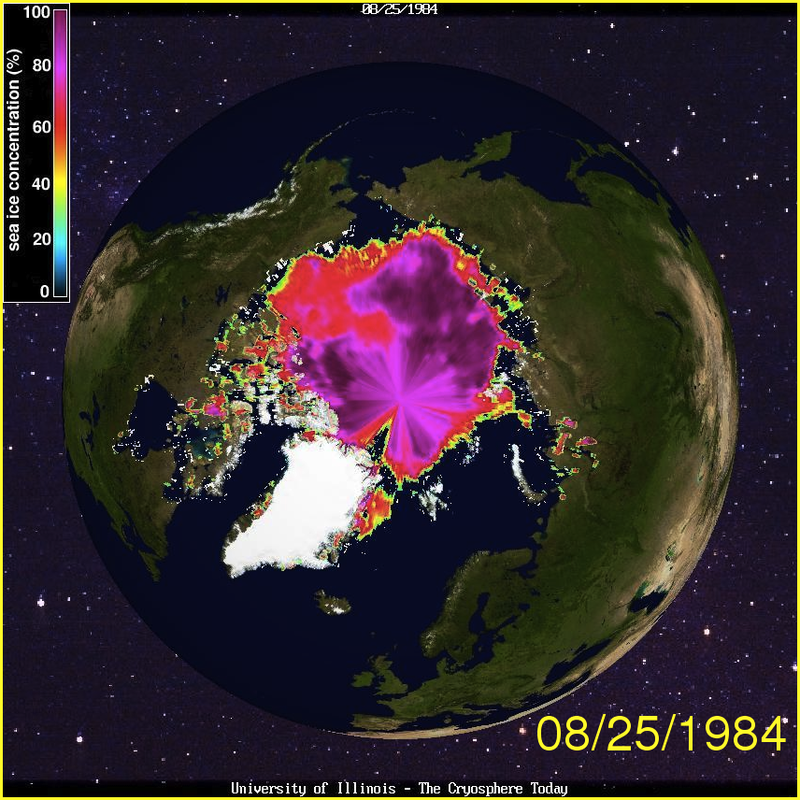 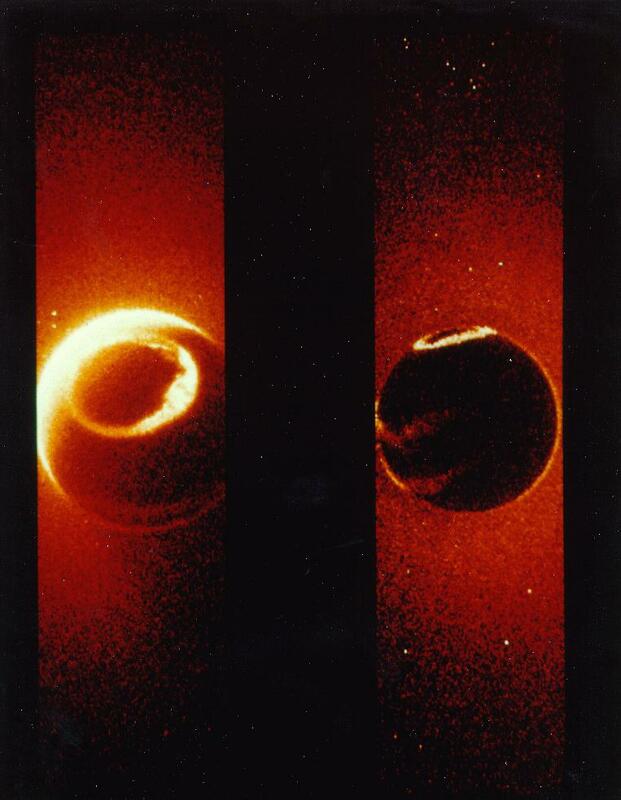 Much of the more recent data has been collected by the AMSR-E (Advanced Microwave Scanning Radiometer - EOS) aboard NASA's Earth Observing System (EOS) Aqua Satellite. 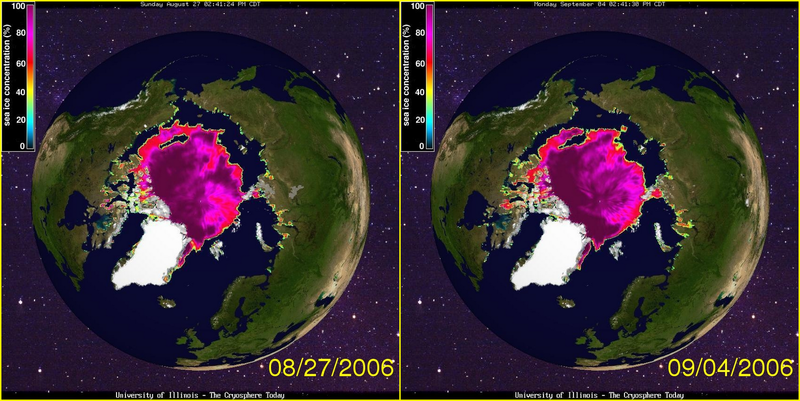 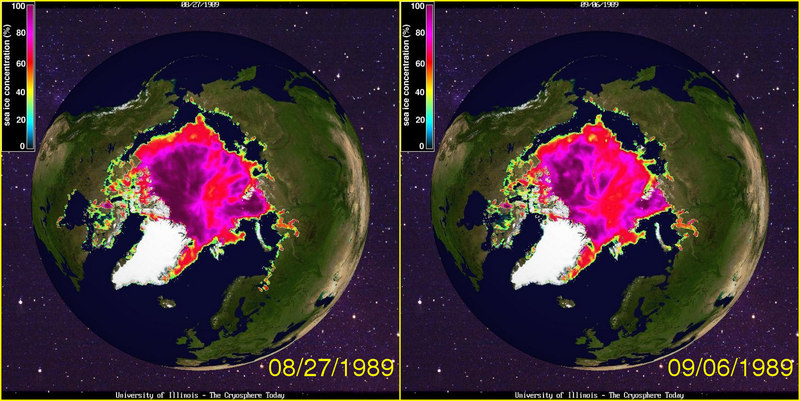 Also note that in 2006 during March there is a lot more ice, like A LOT more compared to just 2 years before in 2004. 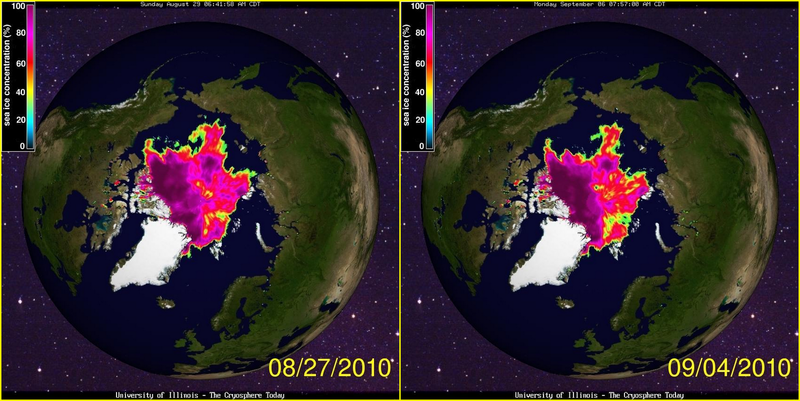 Also not much data from 2005.